Honk honk, hype train incoming — new purported art from the upcoming (and still-untitled) Avengers sequel is beginning to bubble up from the depths of the internet, and if real, it's showing us everything we could possibly want from the anticipated Infinity War follow-up. The artwork, done in the style of other Avengers-related promo art, shows the Earth's Mightiest Heroes in the middle of an apocalyptic hellscape, lunging toward a common threat — who would obviously, in this case, be the Big Daddy himself, Thanos of Titan. The purported promotional materials appear to have first popped up on Portuguese-language fansite Heroi X. Check the picture out below. The big draws of this art include a look at Brie Larson's immensely-powerful Captain Marvel hovering above the fray, for once wearing her proper suit as opposed to the green Kree prototype that we've been seeing up until now. 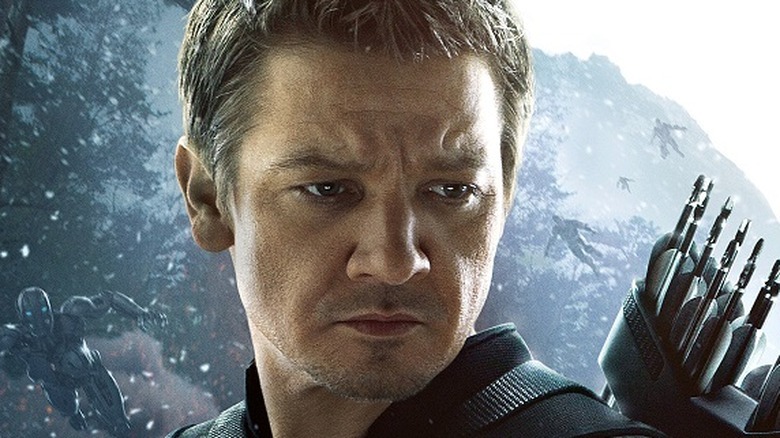 There's also Hawkeye, finally showing up to the party in his new identity as Ronin. Presumably, his move toward the lonely samurai life would only happen if something very, very bad happened to his entire family, which is a distinctly possible outcome of Infinity War. 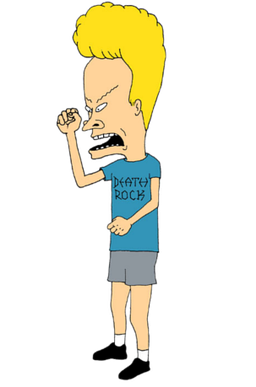 One thing we can all likely agree on there is that his hair looks like Beavis now, yeah? Big-time Beavis up-do going on, there. Also, this art marks the first appearance of Paul Rudd's Ant-Man in the Infinity War mix, curiously appearing without his sidekick Wasp, aka Hope van Dyne. Since Ant-Man and the Wasp is confirmed to take place prior to Thanos' fateful snap at the end of Infinity War, could this be indicating that Wasp will get dusted at the end of that movie? Will the storylines converge when the credits roll? For now, who knows — but it is interesting that she's not there. Finally, we've got a look at big boy Hulk, looking sleek and slender in what appears to be some kind of vibranium jumpsuit. What purpose the suit serves is anyone's guess, but if we want to wildly theorize about things, our guess is that everybody on the team is getting a little help from Wakanda's biggest resource, as far as their battle tech and defenses are concerned. You can check out War Machine's big hulking suit for more evidence of that. The leaks also showed a purported look at Thanos, back in action with a big new blade. If you'll remember, the Mad Titan was last seen retiring to a life of being a farmer or whatever after successfully nuking the whole universe with his magic jewelry. Check that one out below. Overall, it's an open question as to whether or not this art is legit, but there is no doubt whatsoever that what's on display here is legit — know what we're saying? Avengers 4: Y'all Want More will be out in theaters on May 3, 2019. It will be preceded by Ant-Man and the Wasp on July 6 and Captain Marvel on March 6, 2019.